Before Doty and Coyote, there was Tommy and Tippy. 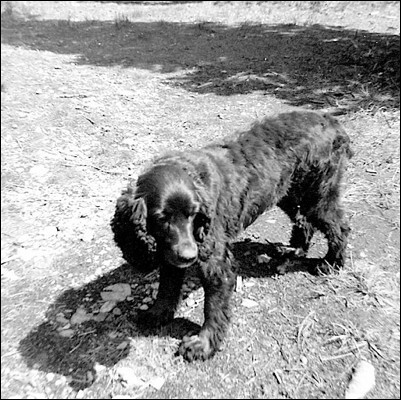 A smarter-than-average, one-eyed cocker spaniel, she was my childhood accomplice, and she had a long life of 18 years. There are several Tommy and Tippy scenes in my Doty & Coyote stories. This photo was taken in March, 1964.